November 29, 2018, 7:48 PM · Russian-born violinist Nina Beilina died Wednesday in New York at the age of 81, after a year-long illness, according to her son, Emil Chudnovsky, a violinist and teacher who was one of Violinist.com's earliest members. 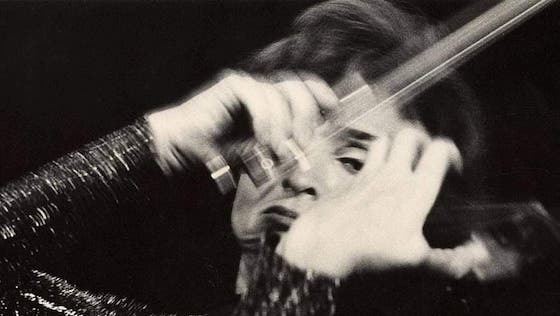 During her early career, Beilina was considered to be one of the foremost female violinists in the Soviet Union, having won the gold medal in the 1961 Enescu Competition; the Grand Prix at the Long-Thibaud Competition in Paris; and a Bronze Medal at the 1962 Tchaikovsky Competition. Beilina, whose mother was a piano teacher in Russia, started violin at the age of 5 and went on to study with Abraham Yampolsky, Julius Eidlin and most famously, with David Oistrakh. Ten years ago, Beilina shared her thoughts about David Oistrakh on Violinist.com: "As a teacher, Oistrakh was as demanding of his students as he was of himself," she said. "He was incredibly picky regarding any and all conceivable errors. As a violinist, he was what I call a 'jeweler.' This meant that he put every piece under a virtual microscope regarding every shift, every bowing. Everything had to be completely secure, consistent and unshakable." "I remember one lesson which he tape-recorded, then played the tape back to me at a slower speed. Obviously, everything was at a much lower pitch, but one could hear all the micro-events – a shaky shift here, a clumsy bowing there, an unfocused attack elsewhere – and it was incredibly instructive. Unsettling, but instructive. He also didn't exempt himself from this sort of magnifying-glass examination. His own sound engineer once gave him a copy of his own playback wherein he noticed how his own vibrato was inconstant. Guess what the first item on his practice agenda was for a while thereafter!" Beilina said that due to her strong ideas and desire not to become a "clone" of her teacher, Oistrakh referred to her as his "rebellious student." "But it meant also that instead of our lessons becoming training sessions in how to play like Oistrakh, they became training session for how to play the violin," Beilina said. 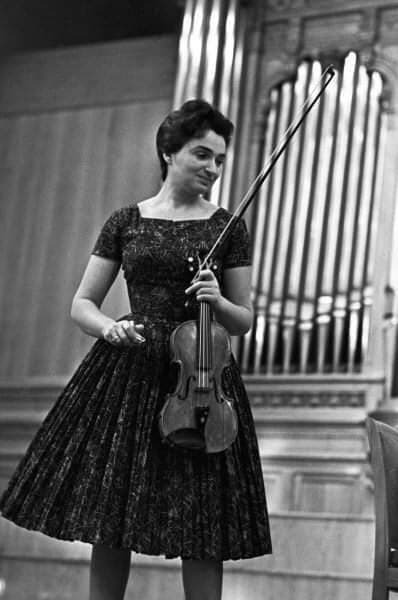 In 1977, after the death of her husband, conductor Israel Hillelovich Chudnovsky, Beilina moved with Emil from the Soviet Union to New York, where Beilina served as a Professor of Violin professor at Mannes School of Music from 1978 through 2017. In 1988, she founded Bachanalia, a conductorless chamber orchestra that performed up to six concerts annually in New York until recent health concerns made the organizational demands untenable. "Nina did not distinguish between high art and daily craft," said former student Olga Meerson, who is a Professor of Russian Literature at Georgetown University. "She always considered the music she played to be greater than herself, always contemplated it as a religious task of sorts. Hence she knew how to worship God with it; it was her preferred medium of prayer, especially Bach. Many others were also amazed by her praying through playing. But precisely for that reason, Nina always understood and respected other people’s praying in their own ways." BELOW: "Three Scenes from Yosl Rakover's Letter to God" for solo violin, by Ruslan Agababayev. He composed the piece for Beilina, who plays it below in this recording of its 2004 world premiere. "Nina asked me to write a solo violin piece for her," Agababayev wrote Wednesday on Facebook. "She wanted it to be a Jewish music. Around that time I was reading the holocaust book 'Yosl Rakover talks to God' and it was just perfect timing. I wrote this solo piece for Nina. I must tell you that after the premier I felt that probably no one else will ever play this peace with same feelings and emotions the way Nina did. It went thru her beautiful soul." A memorial service for Nina Beilina will take place at noon on Sunday (Dec. 2) at Riverside Memorial Chapel (180 W 76th St., New York, NY). November 30, 2018 at 06:24 AM · Sorry for your loss Emil! She seemed like an amazing person. Condolences to all her family, friends and students.